Oh Calamity! 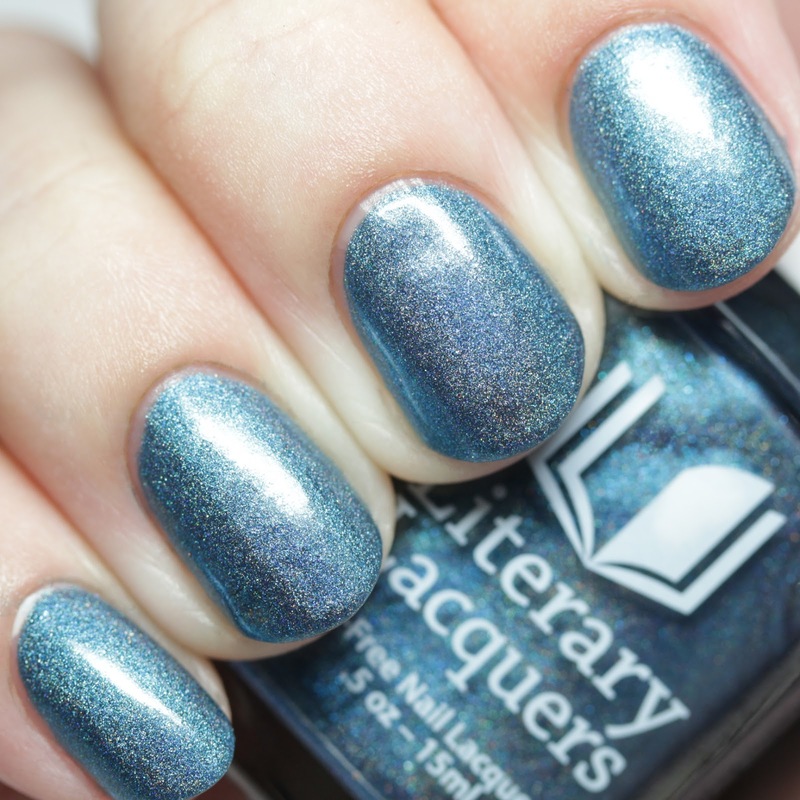 is inspired by Big Little Lies by Liane Moriarty and created with customer Samantha. 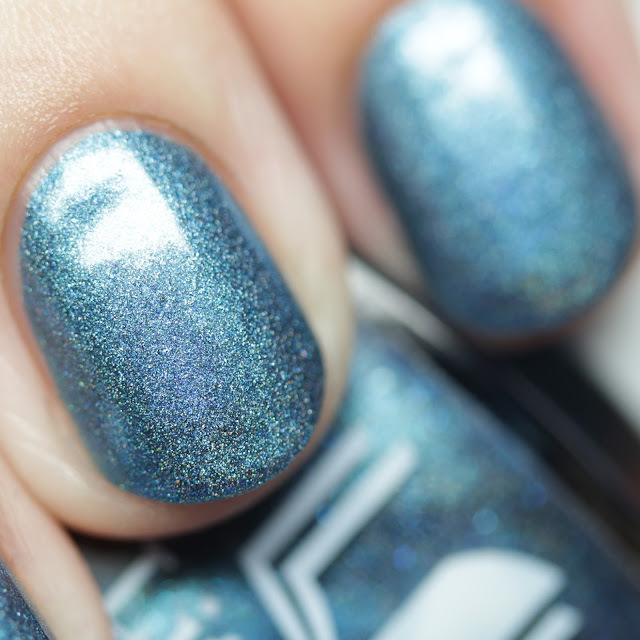 It is an aqua linear holo with navy blue holo microglitter. 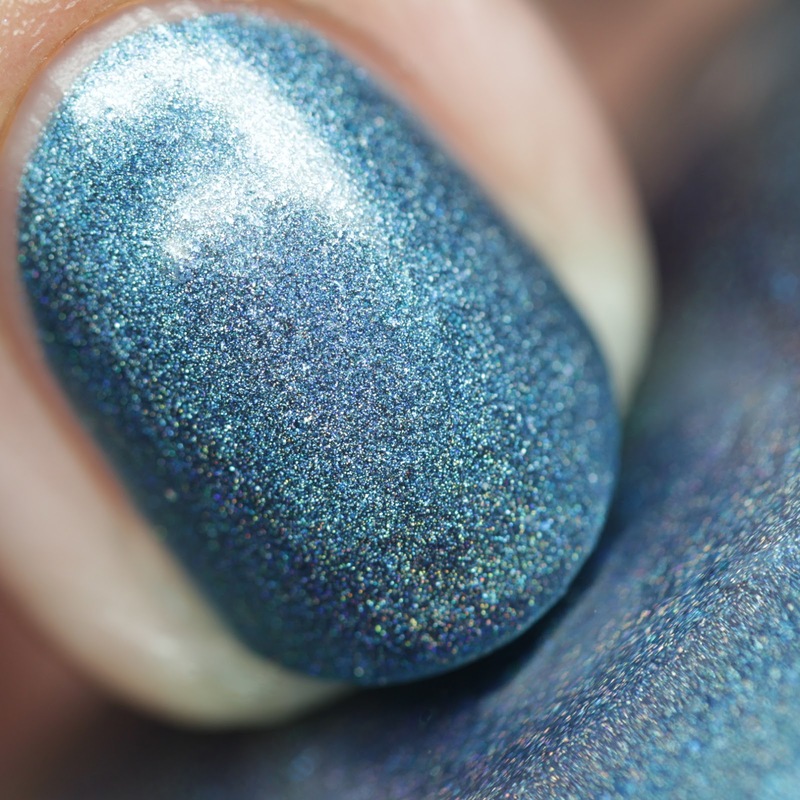 It has a perfect, smooth formula and dries smooth. It is shown here in three thin coats. 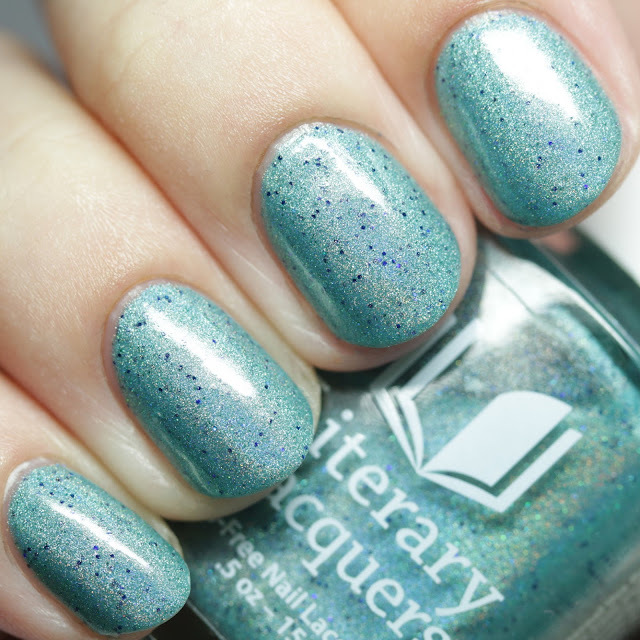 Sugar, Curiosity, and Rain is inspired by We Were Liars by E. Lockhart and created with customer Christy. 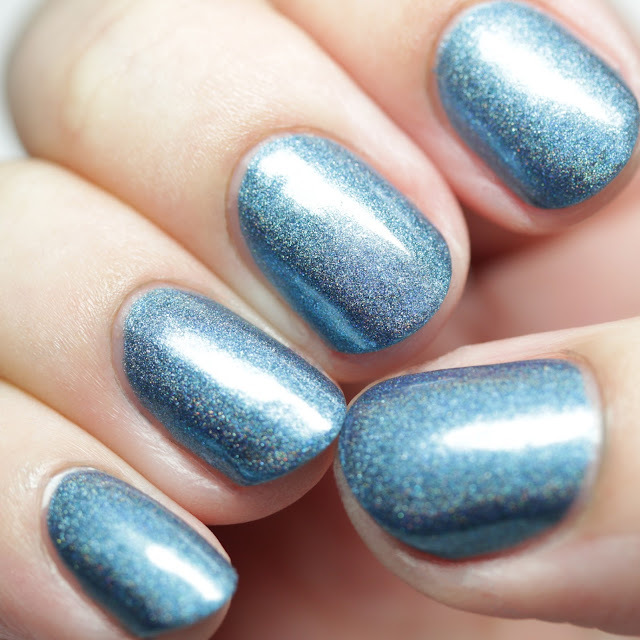 It is a slate blue linear holo with blue shimmer and silver flakes. Another great formula, shown here in three thin coats. 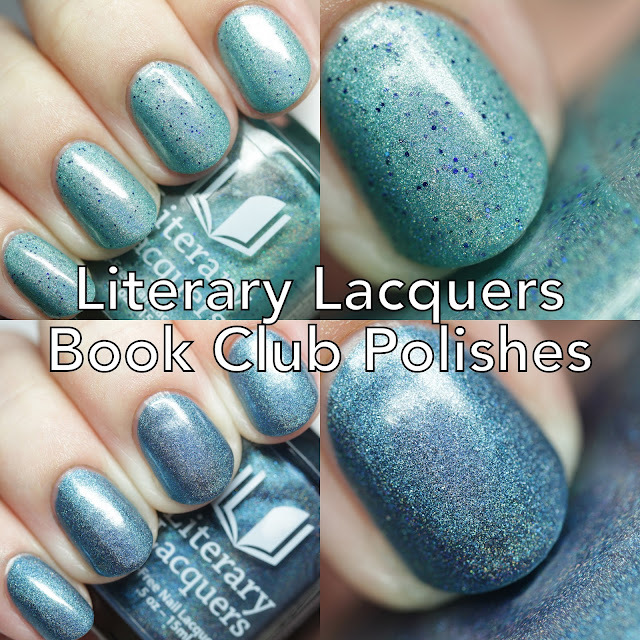 The polishes are available now to members of the Facebook group Literary (&) Lacquers. Please join to be able to get these and for fun literary discussions. Each is priced at $12.